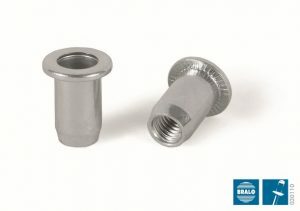 BRALO insert nuts provide a fast, reliable and simple assembly to a high quality standard. 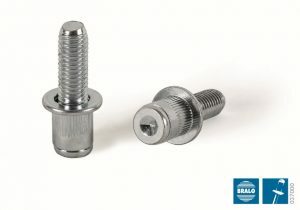 They are used for fastening materials with single sided setting access, such as hinges, supports or panels. Installation can be done at any stage of production, even after lacquering. 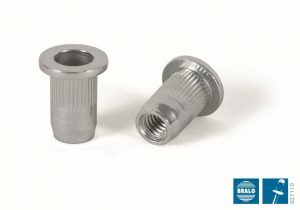 The Insert nuts are best to use if you require a mechanical fastener that provides a threaded feature in applications with a soft material or with a small grip range. 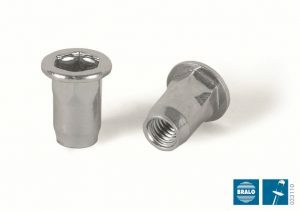 Bralo has a wide variety of rivet nuts. We offer them with flanged, reduced or countersunk heads with either smooth, grooved or hexagonal bodies. The choice of which to use is dependent on the application. Factors to consider when choosing the best insert nut for the job include exposure to natural elements, the strength of the applications’ material and whether you need a sealed end to make it watertight.